While judging the successes and failures of our foreign policy, a realistic view should be taken of the multiple challenges we face. India’s foreign policy is obliged to navigate skillfully through the prevailing currents in international relations, even as its larger goals of defending sovereignty, safeguarding territorial integrity, building a peaceful and secure environment, creating supportive constituencies abroad and using external relations to increase prosperity at home remain constant. While judging the successes and failures of our foreign policy, a realistic view should be taken of the multiple challenges we face and our capacity to deal with them within the complex web of competing interests, unequal power equations, international law and so on. Our foreign policy is not based on the assumption that we have the power to advance our interests as we wish. Or that if we played well our cards we can largely accomplish what we want. Even stronger powers than India cannot always have their way and have to accept setbacks or compromises. International law, the interests of others, the nature and strength of adversaries, the cost of using force, longer-term consequences of actions taken — all condition the conduct of foreign policy. The frequent criticism that we have mismanaged our neighbourhood overlooks Pakistan’s and China’s role in distorting relations between India and its neighbours, the vulnerability our smaller neighbours feel because of our size, their fear of loss of sovereignty and identity, the historically rooted divisive religious and ethnic issues in the region and so on. Admirers of Chanakya should understand that our neighbours court China in order to balance India’s weight and extract more concessions from us. Within India, too many argue that as a big country we should be more generous towards our smaller neighbours. In reality, we are far more generous towards our neighbours than China is with them or its own neighbours. Nepal profits greatly from the open border with India, the transit facilities it receives should be compared to the limited ones that Bangladesh provides us or Pakistan’s refusal to provide any. Which country (China?) will be as tolerant towards millions of illegal migrants from Bangladesh as we are. Our attitude towards water sharing with Bangladesh and Pakistan should be compared to China’s conduct as an upper riparian. We have shown a commitment to Sri Lanka’s territorial integrity in the most difficult and sensitive context of the Tamil issue. The Maldives is reliant on us in many ways, but we are tolerating its current offensive policies towards India. Compared to America, Russia, China or Israel, we have treated Pakistan’s state-sponsored terrorism against us with remarkable indulgence. Unfortunately, barring Bhutan, the reality of our generosity does not get adequately reflected in the policies of our neighbours towards us. Our neighbourhood problems are getting aggravated because of China’s investment in highly ambitious land and maritime connectivity projects in our region that are part of its grand design to dominate Asia and progressively shape global governance as an equal of the United States. India has to cope with this reality with fewer resources at its disposal, a different political system and an international outlook that is less power-driven. Our supposed over-investment in the US and Donald Trump has drawn criticism following the second postponement of the 2+2 India-US dialogue, but this rebuff should be seen in perspective. We are not the only ones unsettled by Trump’s mercurial personality and diplomacy. President Emmanuel Macron’s confidence that because of the special rapport he had established with Trump he could prod him not to repudiate the Paris Climate Change Agreement and the Iranian nuclear deal has been rudely shaken. Many believe that he was humiliated during his last visit to Washington. Trump has cold-shouldered Angela Merkel and hit out at Germany and the EU for unfair trade practices. He has imposed higher tariffs on European steel and aluminum and is threatening to hit European automobiles if the EU retaliates. He has started a trade war with China despite China’s efforts to ward it off. Russia has seen its diplomats expelled and sanctions imposed on its principal energy, defence and commodity companies. Yet, he will hold a summit meeting with Vladimir Putin shortly, just as he continues to praise president Xi Jinping personally. Does all this mean that the foreign policy of European powers, China and Russia has failed, or that US foreign policy has got unhinged? Bullying represents a failure of diplomacy, with long-term costs to the US of alienating allies and partners. The extraterritorial application of draconian US sanctions on Iran has deeply upset European political opinion. Europe’s strategic weakness has been exposed. US hold over the global financial system would weigh with China and Iran as well in mulling the extent of their defiance. 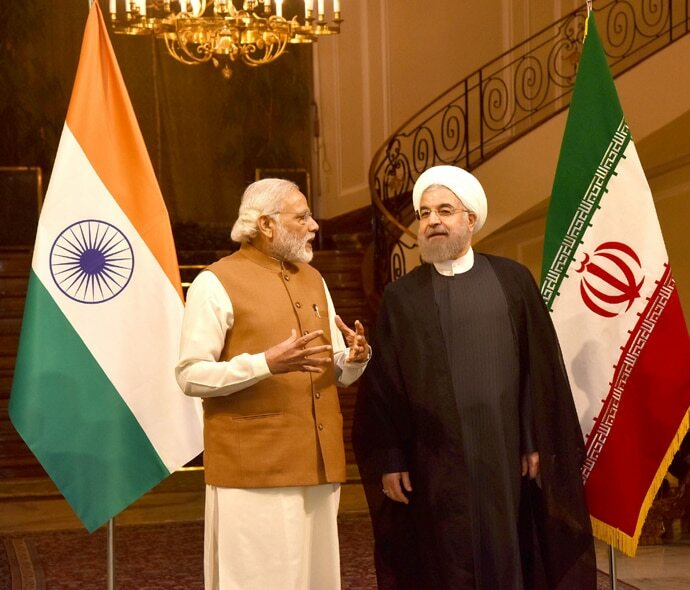 India has been asked to end its oil imports from Iran by November and pressure is being applied to dissuade us from purchasing the S-400 air defence system from Russia in view of US sanctions on the Russian manufacturer. This would be unacceptable on several counts, that of exposing India unlawfully to US sanctions against third countries, interference in India’s vital relations with Russia, destabilising India’s sensitive relations with Iran, and compromising the independence of India’s foreign policy. India-US “strategic ties” should not mean making India subscribe to America’s global strategy against India’s own strategic interests. No country, including India, can boast of a successful foreign policy on all fronts. With that caveat, given the circumstances, our foreign policy under Modi has been agile, imaginative, pragmatic and confident.